Bruce Epperly brings his third reflection based on his new book Healing Marks. In this essay Bruce uses the story of the raising of Jairus' daughter as an illustration of the influence of community in the healing process. Remember that Jesus spoke of the power of prayer when two or three gather in his name. I invite you to read and reflect on the essay and offer your own thoughts in response. The healing of Jairus’ daughter is one of my favorite healing stories. Appropriately joined with the healing of the woman with the flow of blood, this healing story describes the healing power of a community of faith. When people gather for prayer, energy work, and meditation, transformations may occur and new energies may be released. 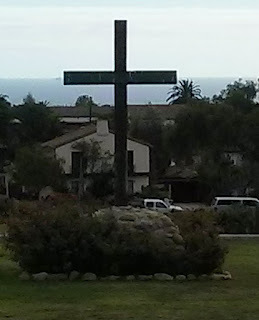 Whereas the healing of the woman with the flow of blood emphasizes the impact of an individual’s faith on her or his physical, emotional, spiritual, and relational health (“your faith has made you well”), this narrative involves the impact of a healing circle, a group of people who believe that God can do great things in our lives, to open the wellsprings of God’s healing activity in our lives. This is truly a relational healing, grounded in a faithful openness to the divine-human relationship within which all things live and move and have their being. In Mark’s account, Jesus dismisses the naysayers from Jairus’ house; actually, he “kicks them off the premises”. The crowd assumes that the young girl is dead and that Jesus is wasting his time by attempting to revive her. 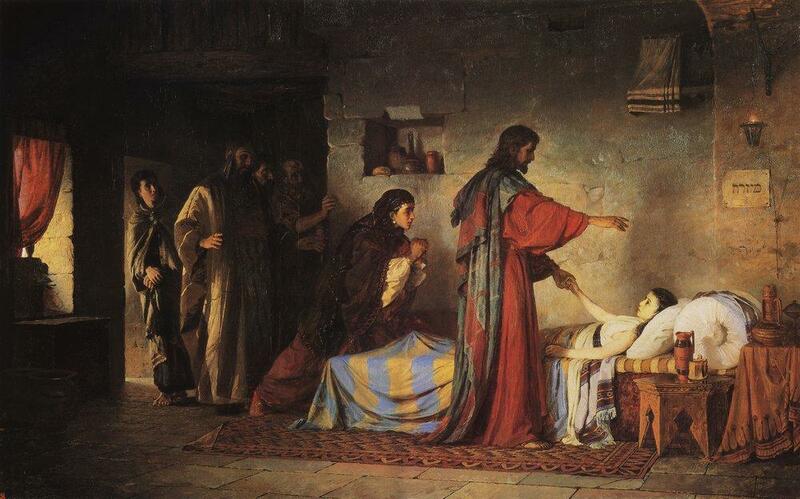 Mark suggests that they have misdiagnosed her current health condition: Jesus contrasts their certainty that she is dead with his own belief that she is “sleeping.” While many commentators equate “sleep” with death, there is good reason to assume that she was in a coma. If Jesus had followed the crowd’s diagnosis, she surely would have died. Their negativity is a potential impediment to Jesus’ healing power. Instead, Jesus creates a healing circle, consisting of the parents and a few of his disciples. I believe that their presence and faith creates a healing vortex, or field of force, that – in tandem with Jesus’ own dynamic energy and openness to God – revives Jairus’ daughter. My recent book Healing Marks is a testimony to healing power resident within natural cause and effect relationships. I believe that issues of health and illness are multi-factorial in nature. Our health condition is a process, arising from the dynamic interplay of our current health condition, personal spirituality, lifestyle, emotional well-being, environment, economics, health care accessibility and medical treatment protocols, prayers of others, level of community spirituality and support, and many other factors along with God’s ever-present aim at abundant life, manifest in an energy of love flowing through all things. While certain factors predominate, our health condition is seldom the result of one factor – divine vision or our faith – but emerges in this dynamic causal network of interdependent factors. The faith of a community or individual can be the tipping point, though not the only factor, in creating quantum leaps of healing energy that can transform bodies, mind, and spirits. In the story of Jairus’ daughter, I imagine Jesus convening a healing circle for prayer and laying on of hands. In the midst of their intercessions, I visualize Jesus whispering in her ear, inviting the young girl back to the loving care of her parents. Surrounded by the energy of love mediated by her parents and Jesus’ disciples along with the Healer himself, the powers of life burst forth within her, awakening her to a future that includes, first, hugs from her parents, a good meal, and a good life ahead of her, possibly including marriage and children. The power of a community’s faith cannot be underestimated, even though it can’t be quantified. The number of people praying for you or holding you in the divine light makes a difference, but – as I stated earlier – it is part of a dynamic tapestry of events, all of which make a difference in our prospects for recovery. The faith of communities adds positive energy around those for whom we pray and thus provides God with a more receptive and energetic environment within which to seek our healing. Healing is always concrete and situational even for God: the more open and energetic the environment, the more God is able to do to promote abundant life in any given situation. “Where two or three are gathered” in prayer, acts of power can emerge that change peoples’ spiritual, emotional, and physical health condition. In light of this, congregations are invited to become laboratories for prayer and spiritual transformation. While we must take seriously the realism of peoples’ physical condition and our congregation’s financial condition, the presence of God and prayerful people awakens us to a “deeper realism” that releases creative healing energies for our well-being and the well-being of others. Let us take seriously this “deeper realism,” that opens us to greater manifestations of God’s energy of love. Let us gather as friends to claim our role as companions in healing one another and God’s good Earth. It is my hope plus gut feeling that as we learn more and more about what we call "mind" we will find that what Bruce speaks of is true. When it comes to understanding the human mind, we truly are primitive. Evidence based medicine alongside faith in the Living God is what I am lucky to witness every day.